Having platinum white hair can be the biggest pain in the world. However, I love my hair being white so I am always looking for new products to try out which can benefit my hair. Purple shampoos and toners in general can be a bit hit and miss. There's nothing more annoying than leaving a shampoo or toner on for a minute too long and having to deal with the result of purple and blue shades in your hair thereafter. 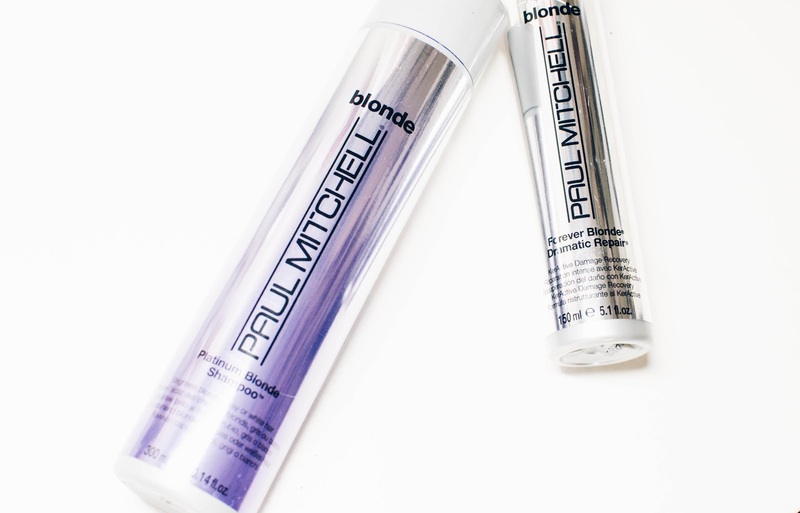 Paul Mitchell sent me over some of their Platinum Blonde Shampoo*; which of course, I was very excited to try. Like all purple shampoos, it claims to banish brassy and yellow shades in blonde hair. However, it all says it makes your hair a lot more softer and manageable. My hair can go quite frizzy if I don't use oils and serums so I was very intrigued to try it out! I have been using the shampoo 2-3 times a week and leave it on my hair for 2-4 minutes. The product is a lighter purple than usual and smells really nice too. It's more like a thick gel like formula which lathers up within seconds. I definitely noticed a difference in the brightness in the white tones of my hair after the first time I used it, so it's remained a product that I've used all month so far. Retailing at around £13.50, it's definitely more of a luxurious type shampoo compared to your usual drugstore or supermarket option. However, the pains I have with finding the right products for white blonde hair at a cheaper alternative makes it much easier for me to just put my money into a product that is pricier but does the job very well. Although I didn't pay for this product, I will definitely be purchasing it in the future. 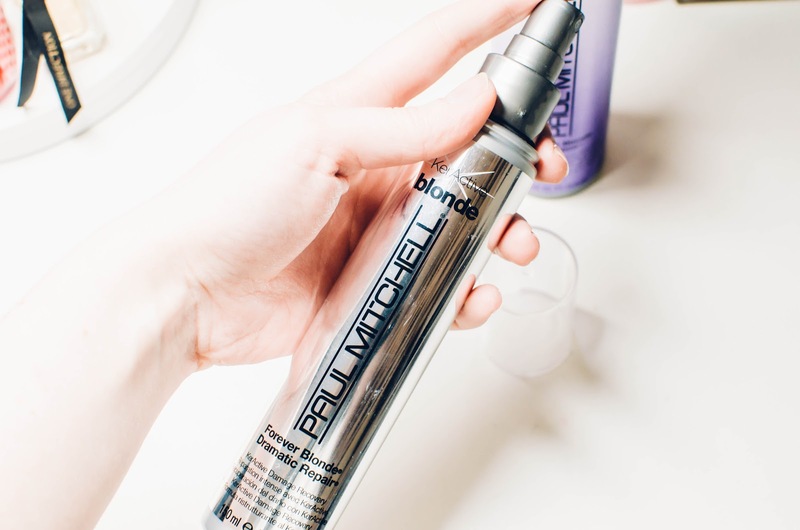 Alongside trialling out the shampoo, I have also been using their Forever Blonde Dramatic Repair Spray* which smoothens and strengthens the hair. As I have to re-bleach my roots every 6-8 weeks, the hair around the front of my face often breaks very easily so it's been great to try out a product aimed at preventing just that. The product distributes quite finely which can be a bit of a drawback as I felt I have to pump quite a lot of times to get enough product to cover all of my hair. However, once applied on wet hair, I comb through my hair and then blow dry it with a little bit of hair oil. I've been really enjoying this routine 2-3 times a week and I don't see it changing any time soon! Disclaimer: These products were gifted to me in return for a review on my blog. All opinions and photographs are my own. I'm pleased you've found a routine that works for you. It's so hard to find a product that really does what it promises when it comes to hair! I'll ave to keep this is mind cause I'm been considering bleaching my hair. The only thing I'm worried about is keeping it healthy. It sounds like this could be a good shout!